THE PICKIEST EATER IN THE WORLD: BANZAI! 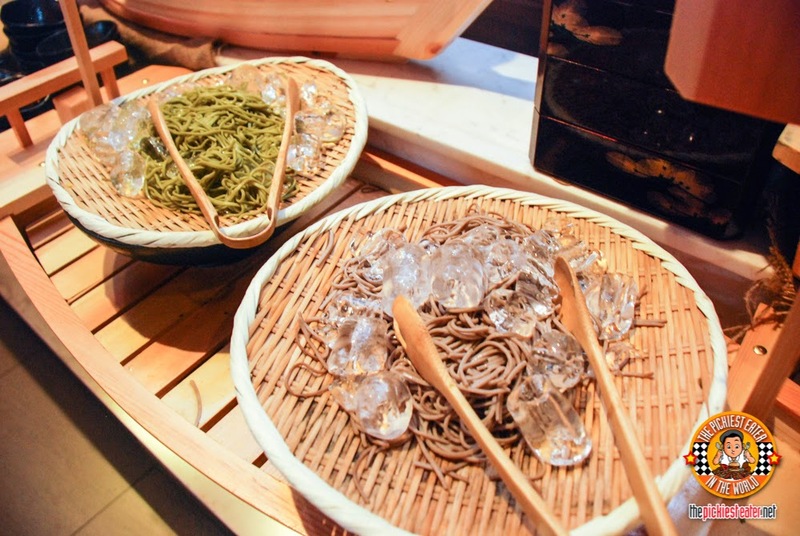 A GREAT AUTHENTIC JAPANESE BUFFET! 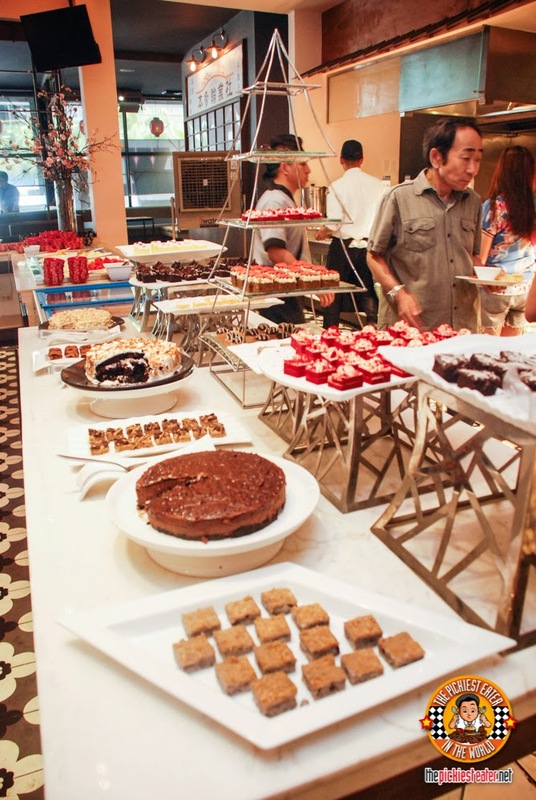 But keep in mind that this is not your run of the mill Japanese buffet. 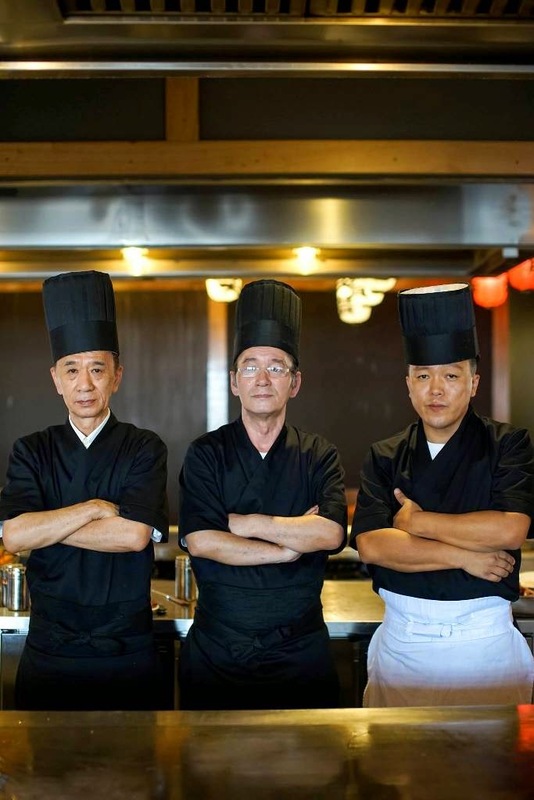 Banzai is headed by three amazing Japanese Chefs that are experts especially in Teppaniyaki, Sushi, and Ramen. 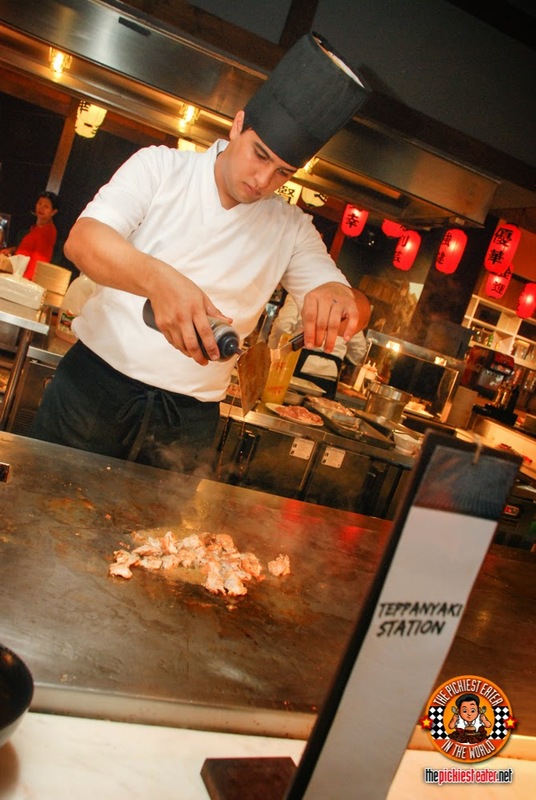 Chef Hiroshi Ishikawa heads the Teppanyaki section. 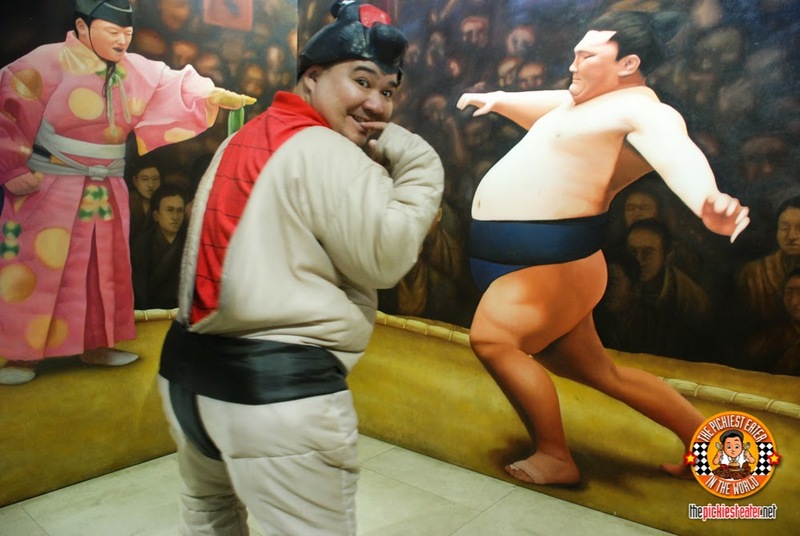 He has worked in Japan for over 20 years and then moved here to the Philippines. 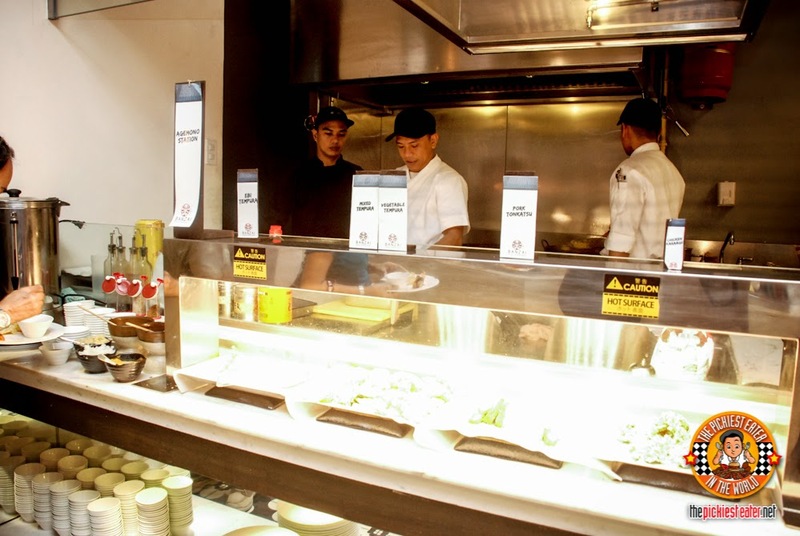 Chef Norimasa Masuda is in charge of Banzai's sushi counter. He has been a sushi chef for 12 years here in the Philippines. 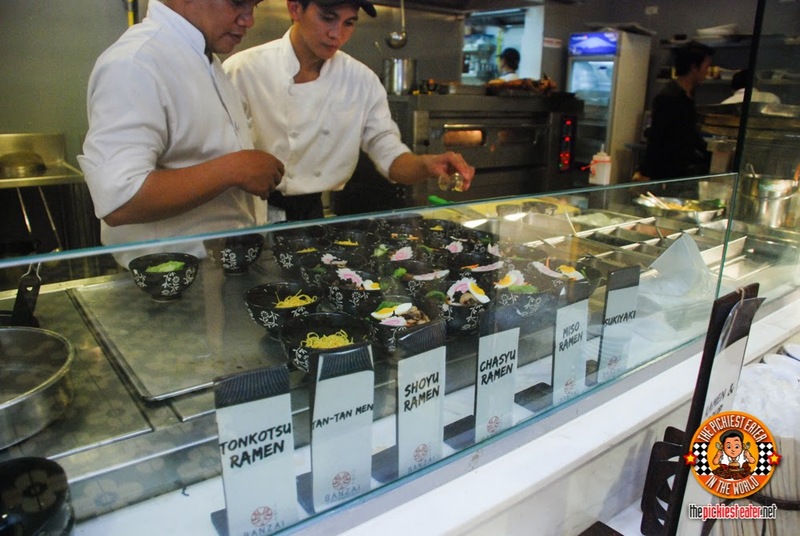 And for the ramen station, Chef Kiminori Iwabuchi is the man! He's had 19 years of experience in the food business both here and in Japan. 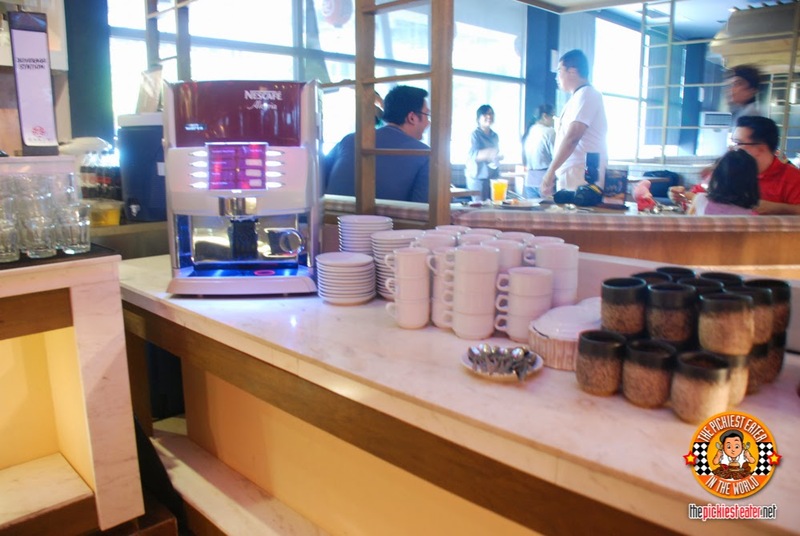 The interiors of course are designed to make you feel like you're in Japan. 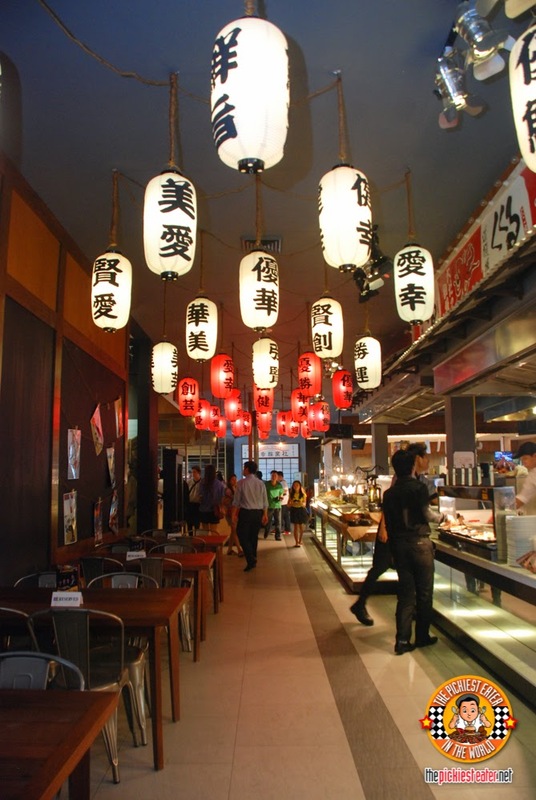 The lighting is quite dim to highlight these wonderful Japanese lanterns. 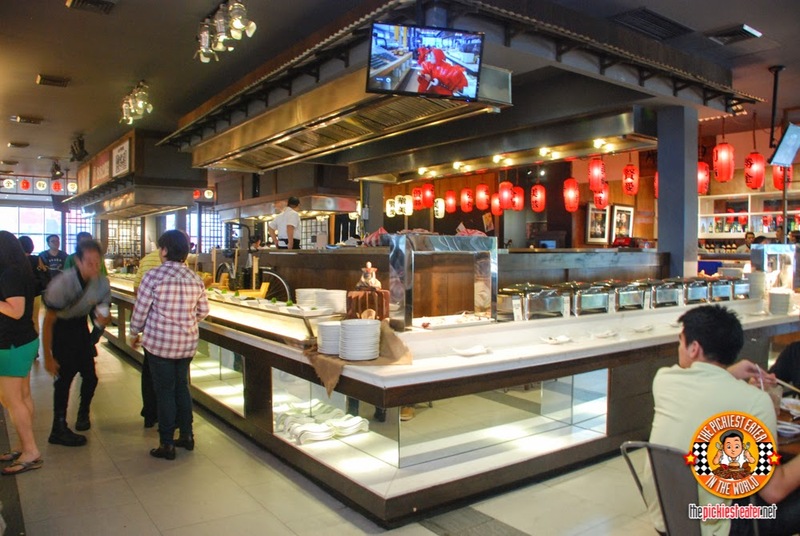 The numerous stations are conveniently situated at the center of the dining area, and along the side, making you feel like there is food everywhere you turn! To give you an idea on how big this is, Banazai has 4 dining areas which are the Dotonbori area, Castle area, Old Japan Area, Sumo arena, and Nautilus area. So there are definitely a lot of tables to accommodate 500 people. 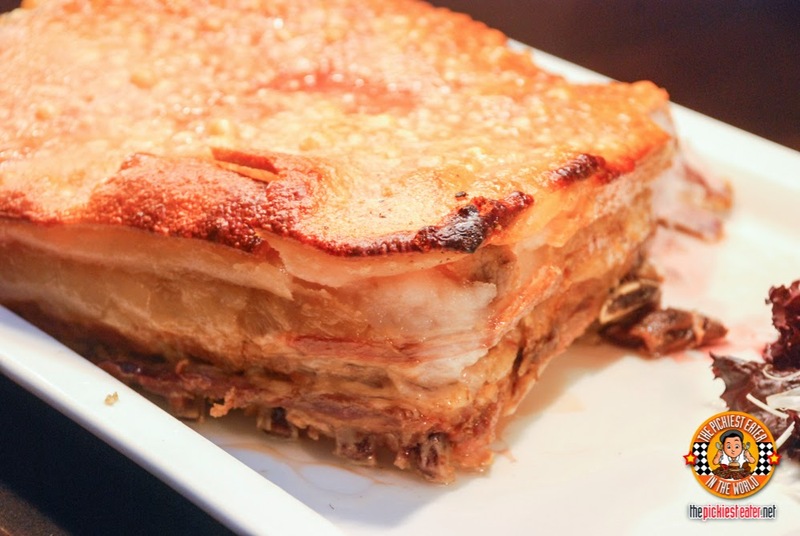 It's ideal for family get-togethers, but also good for romantic dates as well. According to the Banzai map, there are 7 buffet stations. But I think by the time we went, there were more. The Teppanyaki Station was the one that I kept coming back to not just because of the fun utensil flipping stunts the chef was doing but because of the Pork Teppanyaki which tasted like bacon! Yum! 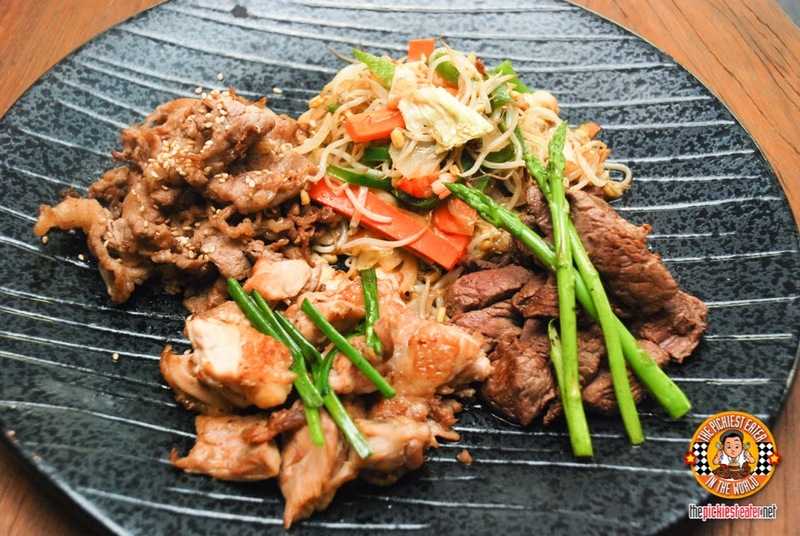 Here's an assorted plate of their meat teppanyaki. 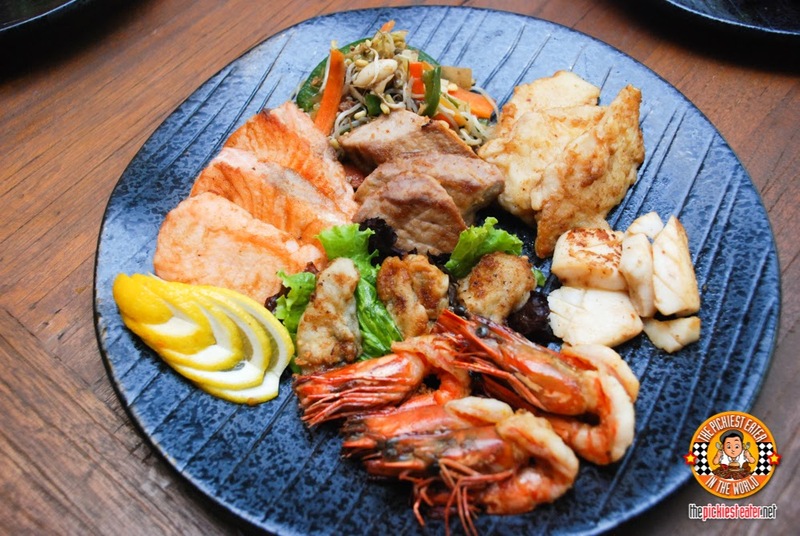 And here's one with all their seafood teppanyaki. 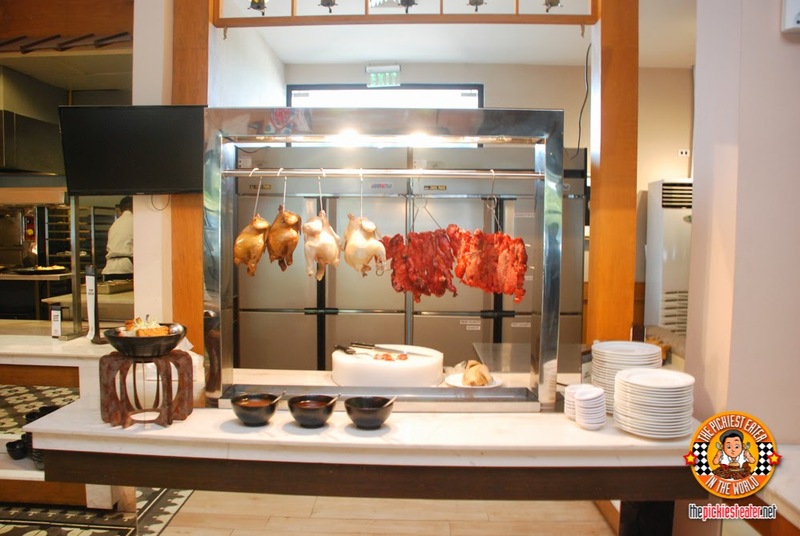 A carving station with a delicious looking roasted pork belly. (Naturally, Richie went straight for this one). Here's the Sushi, Sashimi, and Roll Station where you can try different varieties of delicious sushi. 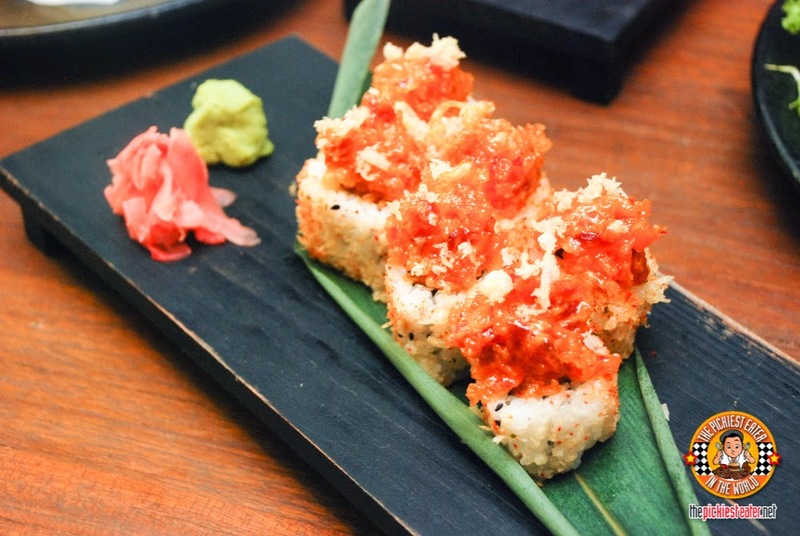 Such as their signature Banzai Roll. 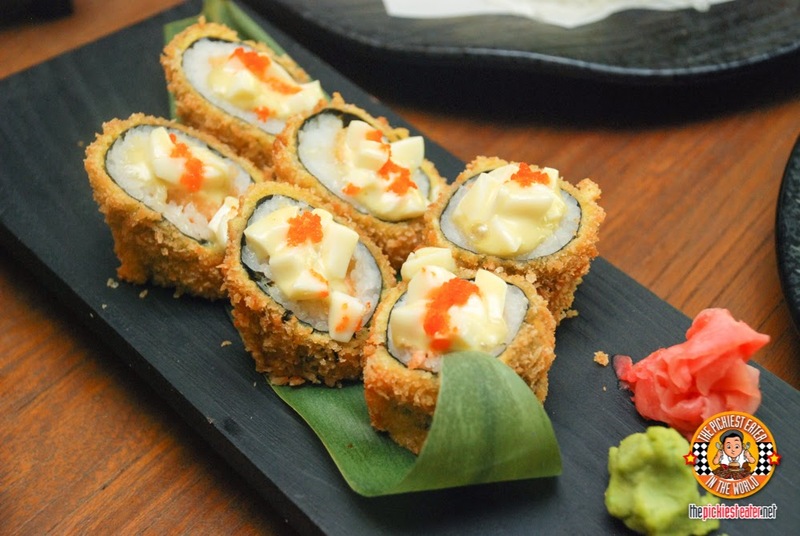 A roll of crispy sushi with tuna inside, and topped with a good squeeze of Japanese mayo. 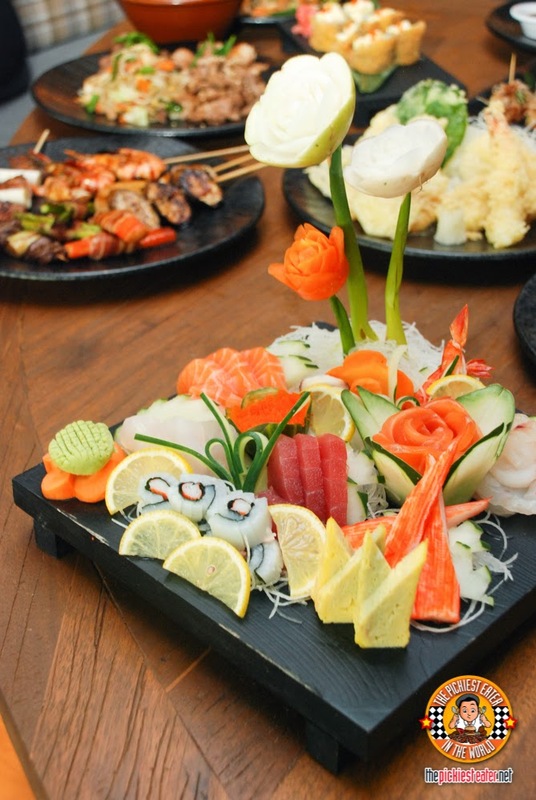 Here's an assorted plate of their sashimi. 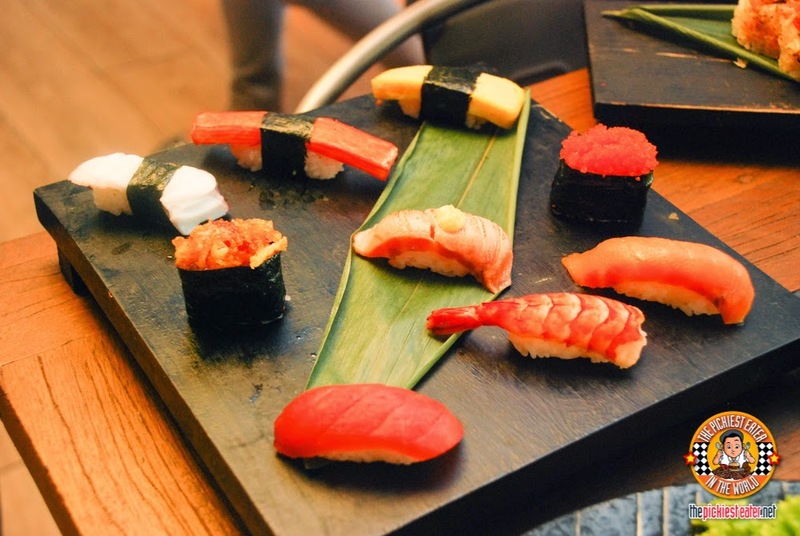 And another garden-like plate of rolls and sashimi plated by the chef for our table. Want Japanese pizza? 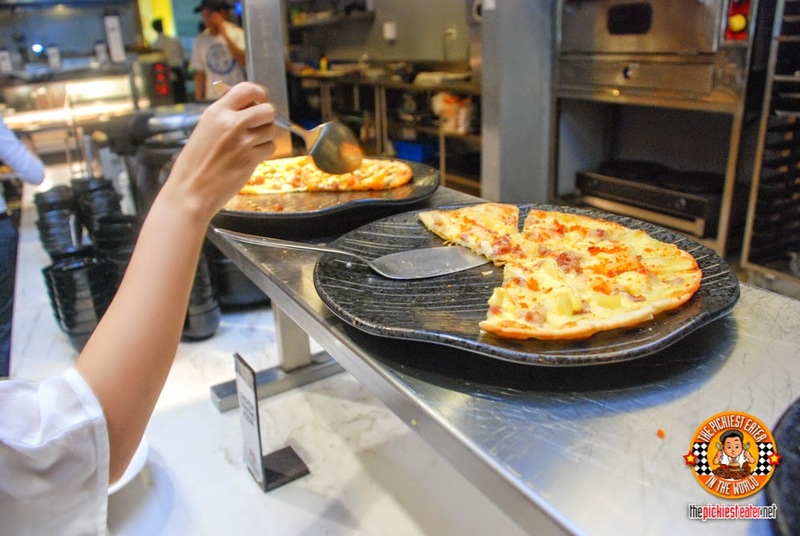 Just head on over to the Pizza Station. 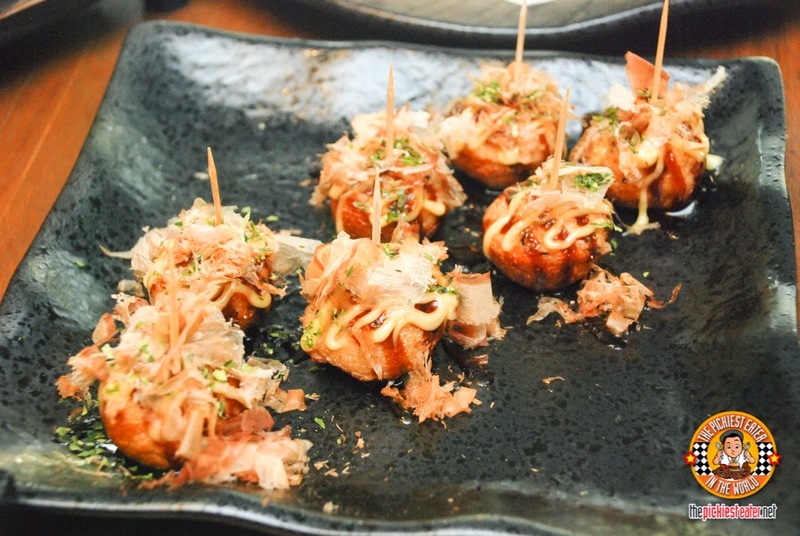 If you're a fan of Takoyaki and Kaniyaki, they have a station for that too! 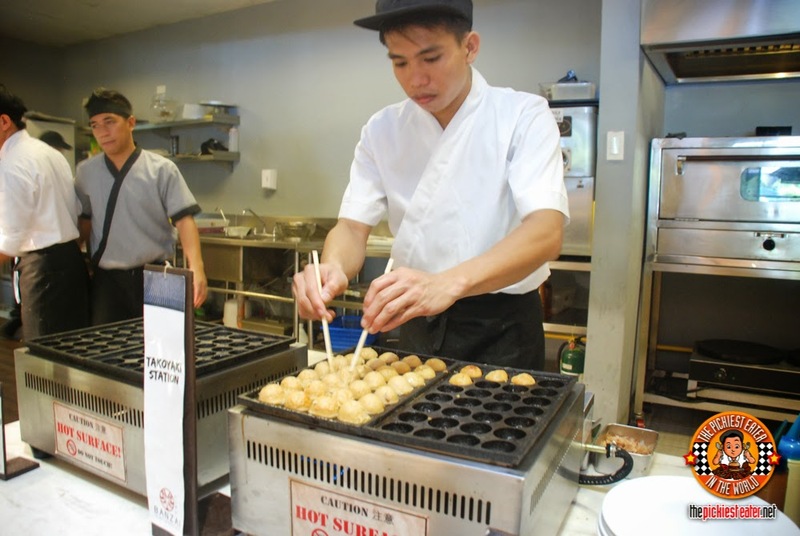 I've always been fond of watching the takoyaki balls being cooked. You can have them drizzle it with mayo, their sweet special sauce, and then dusted with a generous serving of bonito flakes. Craving for some hearty soup? No worries! They have a Gohan, Noodles, and Ramen Station. 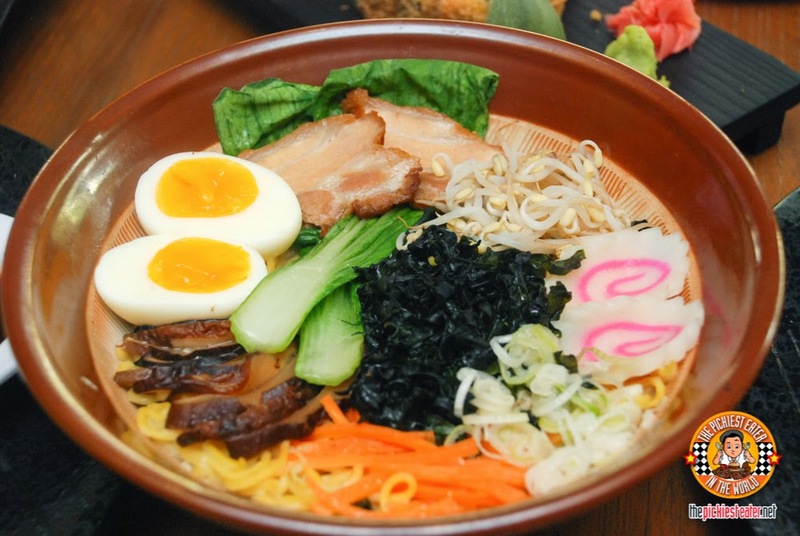 One of their specialties is the Buta Ramen, which are available in 2 broths: shoyu or miso. I'm a Miso lover! 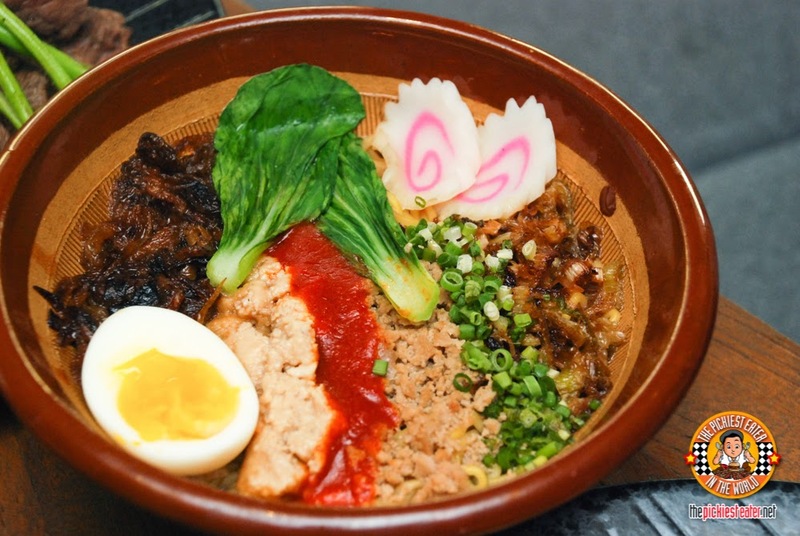 For spicy lovers, there's this colorful Tan Tan Ramen. 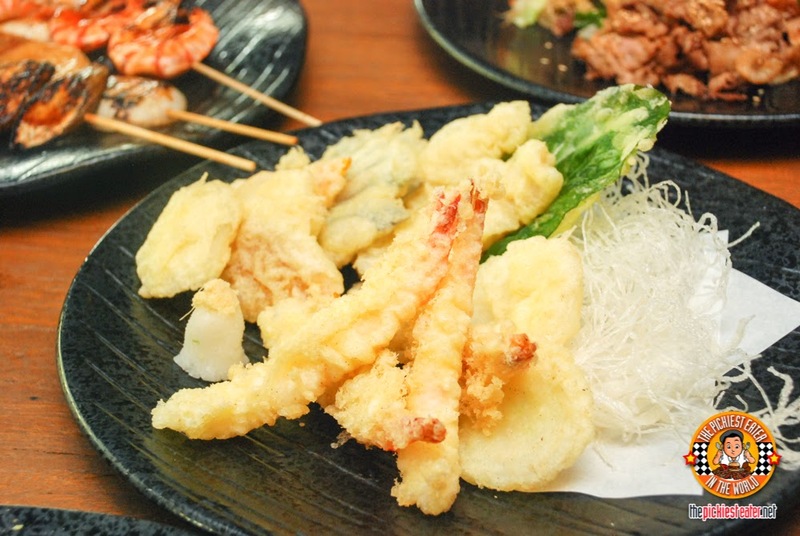 Their tempura is quite good too! 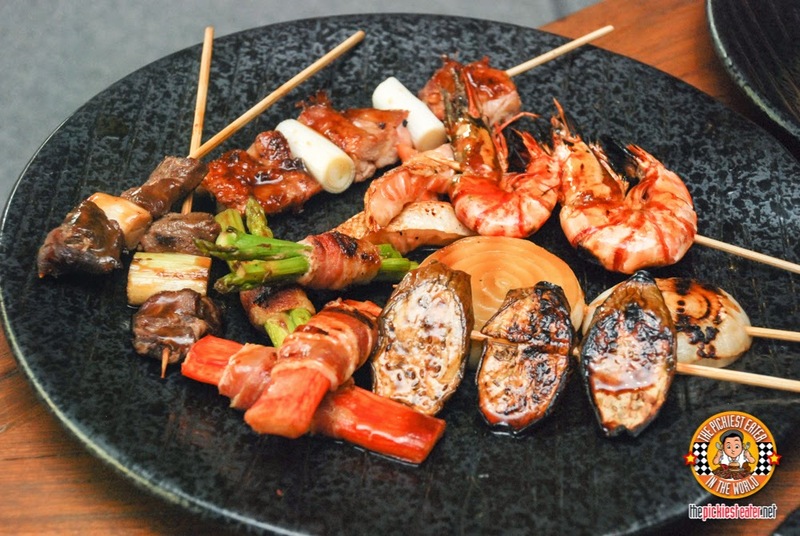 And of course there's lots of Yakitori selections to try as well! 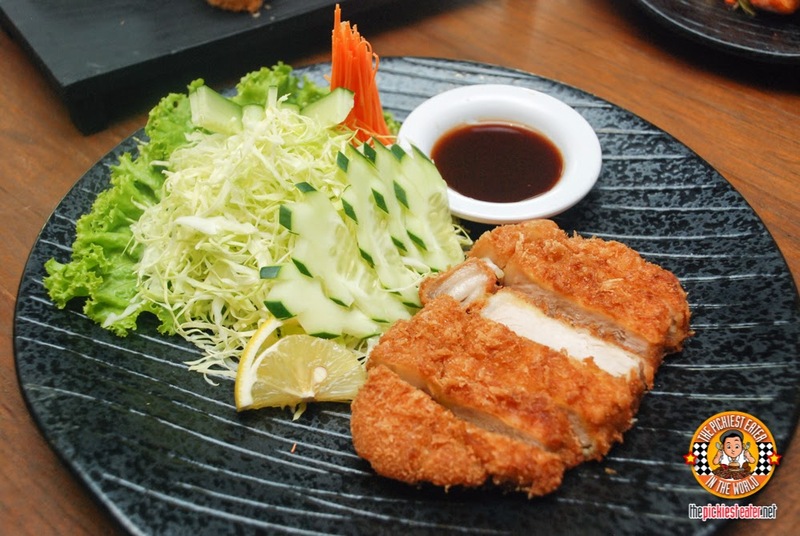 Have you ever tried a Japanese pancake? They're called Okonomiyaki. 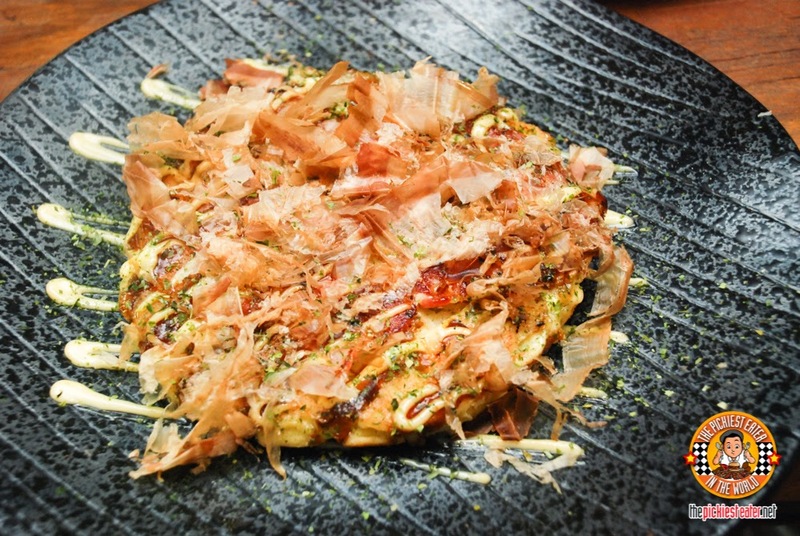 It's a Japanese pancake dressed up with bacon (or squid) and bonito flakes, then drizzled with sauce. 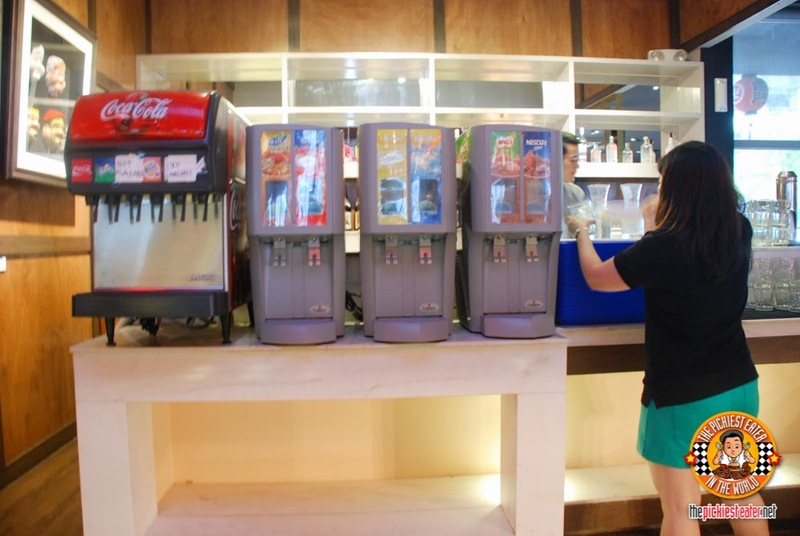 But aside from pastries, ice cream, and halo halo, Banzai also serves snow cones! I had fun mixing the flavored syrup to make rainbow colors! 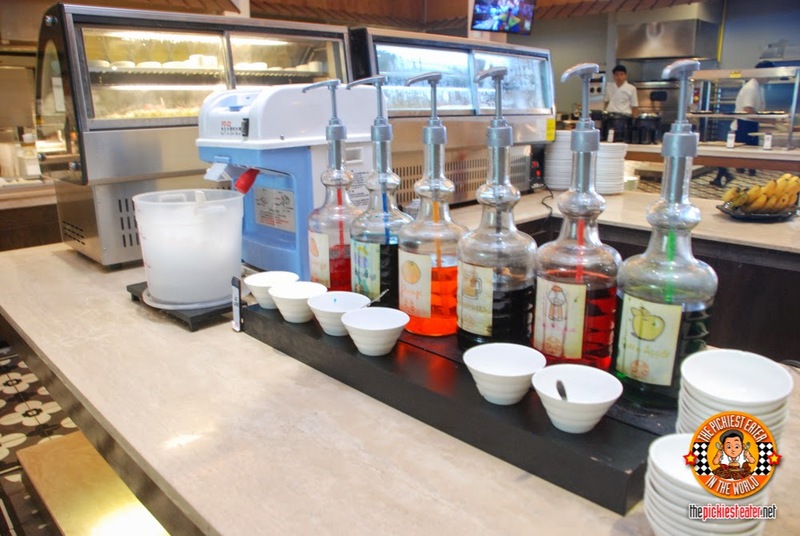 The Drinks Station not only serves soda and juices, they also serve Iced Milo! A popular choice for the kids! Beside the drink is table is the coffee area. 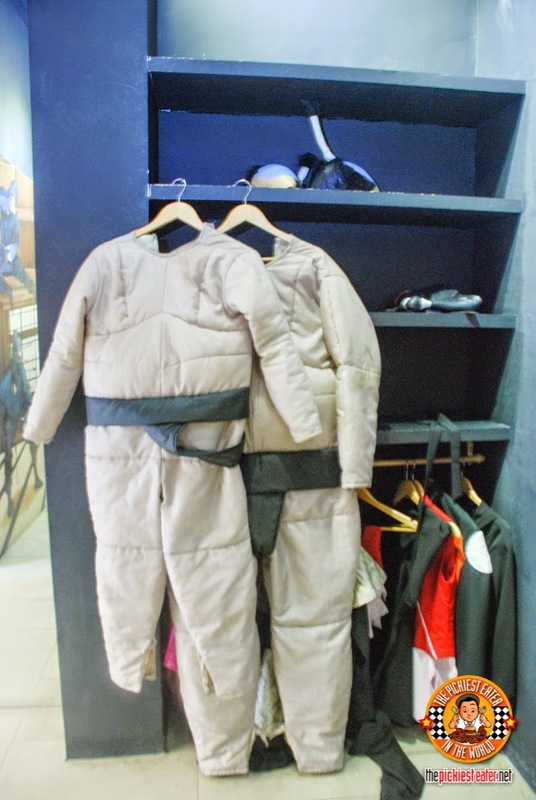 A popular choice for moms hehe. They also have a Salad Station but as you can imagine, the Pickiest Eater didn't really care much about it hehe. Hence, no photo! 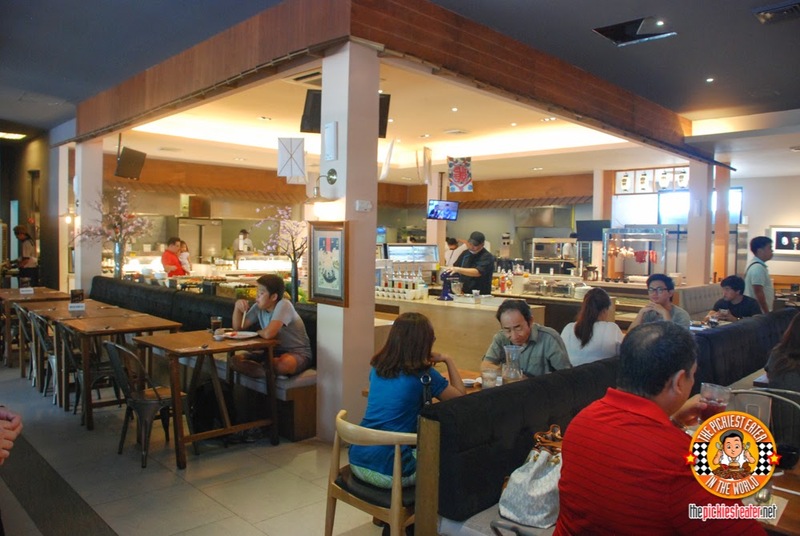 What makes Banzai extra special? 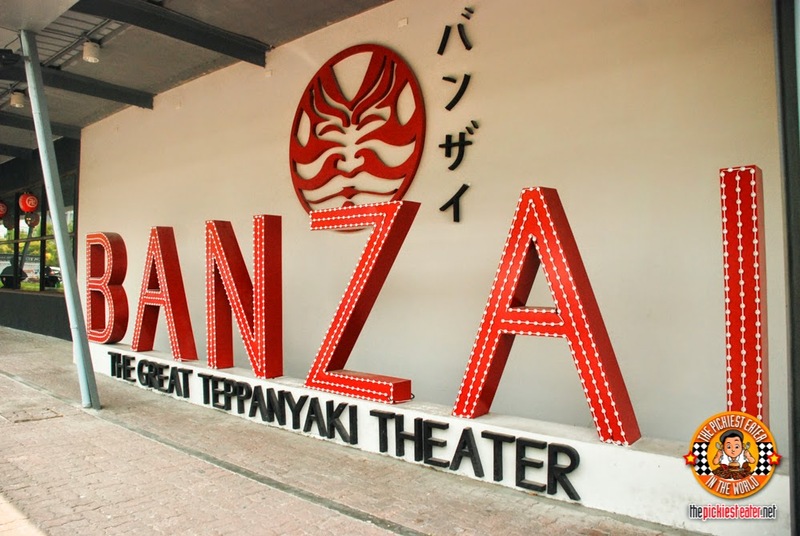 The answer would be the BANZAI Trick Art Gallery! 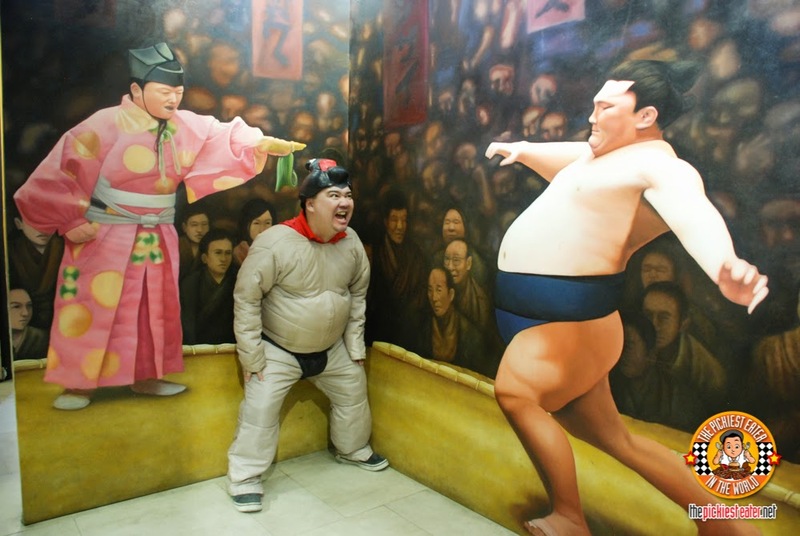 Sumo Wrestler / Samurai costumers are available for use at the Sumo Arena area. Costumes include cool wigs! 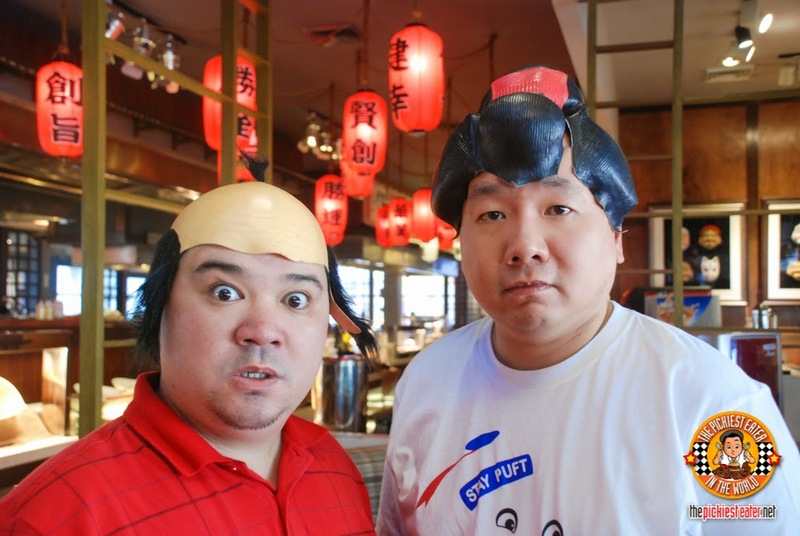 Here's Pickiest Eater and Tales from the Tummy sporting their new do's! Yep, we just had to! Haha! 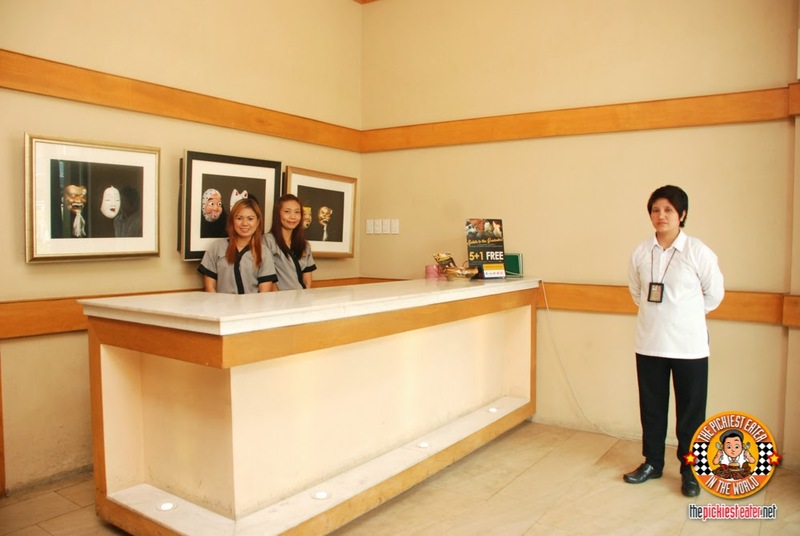 P1,088 for Saturday, Sunday, and holidays. Oh by the way... very important: NO LEFT OVERS! Left over price is P1,288! Banzai Week-long Birthday Blast where they may eat free for one week, with three full paying adults. 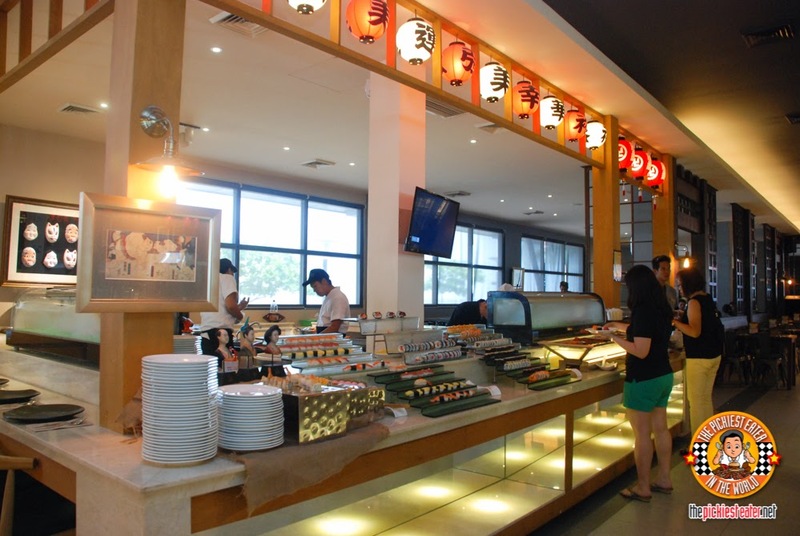 If you can't get enough of Japanese cuisine, then definitely try Banzai Japanese Buffet! Follow them on Facebook because they usually have lots of promotions going on!